Last Friday, I drove my son down to La Jolla (across the street from UC San Diego!) to see pediatric hypnotherapist and pulmonologist, Dr. Ran D. Anbar, MD, FAAP of Center Point Medicine. My son struggles with migraines (greatly improved with recent medication regime), depression, anxiety, eczema, and frequent school absences due to illnesses. Become empowered to help themselves when they feel poorly, and are proud of themselves for being able to do so. Feel better about themselves and their medical condition because they can help take control of how they feel. 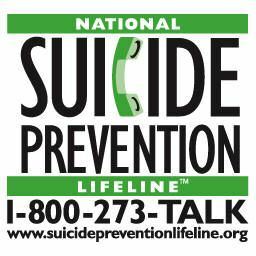 Become aware of their inner strength that allows them to cope more effectively with all aspects of their lives. My mother used hypnotherapy to help her battle non-Hodgkins lymphoma (along with chemotherapy and monoclonal antibody therapy). Hypnotherapy enabled her to feel more in control, and lessened her pain and anxiety. My father quit smoking using hypnotherapy. I’ve used self-hypnosis (all hypnosis is self-hypnosis) to perform well on exams (I studied, too). Hoping that self-hypnosis will give my son a tool, an effective coping mechanism, not just for somatic illnesses that respond well to hypnosis, but for life. Somatic illnesses are not “just” in the mind. The mind and the body are connected. Prayer, meditation and self-hypnosis all help body, mind, and soul. Many of us living with mental illness have other chronic illnesses. Often we are not treated for our “physical” illnesses, as many doctors dismiss them as psychosomatic. “Mental” illnesses ARE “physical” illnesses, and “physical” illnesses affect our “mental” illnesses. We are not just our brains, just our bodies, just our minds, just our feelings, or just our souls. The more we learn, the more we understand interconnectedness and comorbidities. 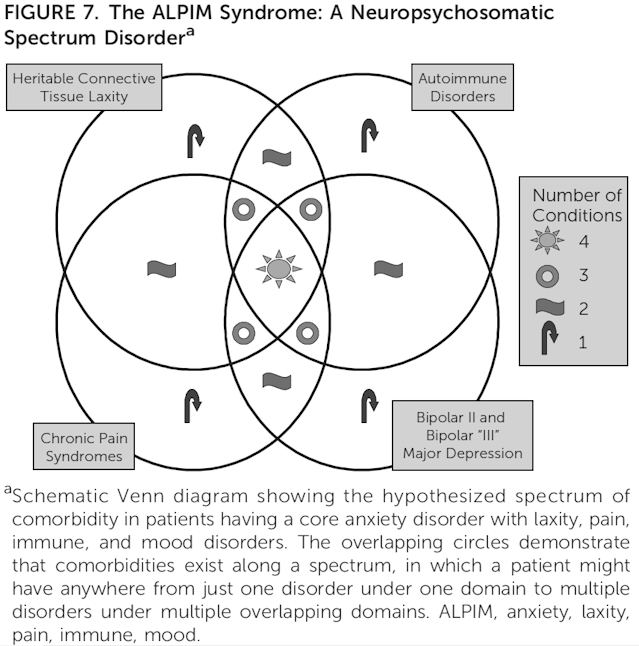 We conclude that patients with ALPIM syndrome possess a probable genetic propensity that underlies a biological diathesis for the development of the spectrum of disorders. Viewing patients as sharing a psychological propensity toward somatizing behavior essentially denies patients access to care for the diagnosable medical conditions with which they present. Should you want to read the journal article, I purchased the pdf version: A Novel Anxiety and Affective Spectrum Disorder of Mind and Body—The ALPIM (Anxiety-Laxity-Pain-Immune-Mood) Syndrome: A Preliminary Report (J Neuropsychiatry Clin Neurosci. 2015 Spring;27(2):93-103. doi: 10.1176/appi.neuropsych.14060132). No copyright infringement intended. 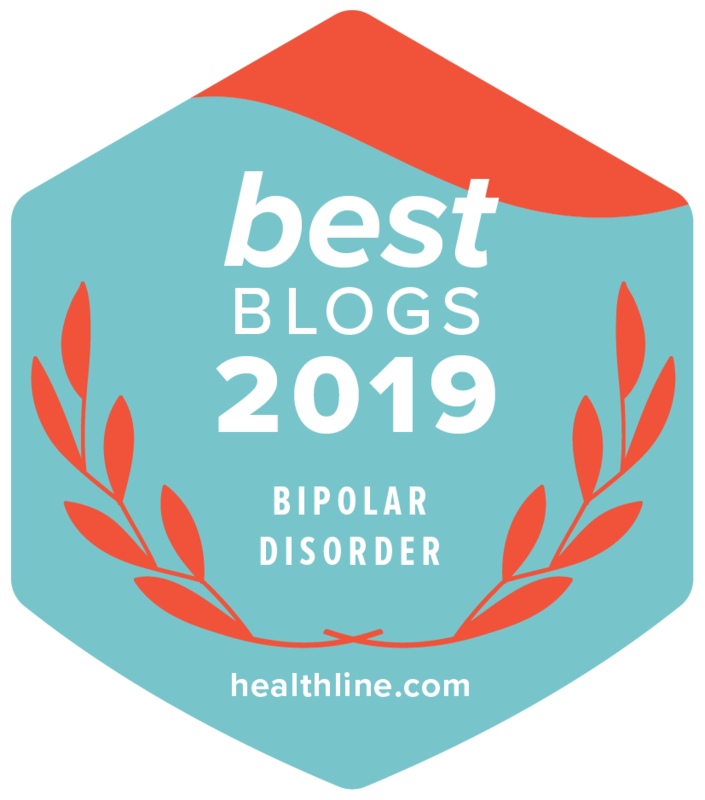 Bipolar III is cyclothymia, a “milder” form of bipolar than bipolar II. Frustrating to parent an adolescent who feels sick chronically. Difficult to know if he feels sick because he is sick with a contagious disease, or if he has a migraine, or if he is anxious. Honestly, right now, I’m feeling sick to my stomach. Sick with dread. Dreading a summer trying to get my kid out of his bed, out of his bedroom, out of the house, and to summer school.